In April of 2009 I walked into a studio and stepped onto a yoga mat. In April of 2009 – I was utterly broken. I couldn’t eat, I couldn’t sleep – I couldn’t do anything except for drink more wine, get more angry & feel more sorry for myself. My perfect – beautiful – 16 month old baby girl had just been diagnosed with autism – and my heart was utterly broken. I needed to be “healed” or “fixed”….or something. I was searching for that something to make me whole – and to make me forget all the sadness. SO – I stepped into a new studio and onto a yoga mat. I was instantly in love with the breathing – the moving – the intensity, and the silence. For the first time in a long time – the sound of screaming in my own head stopped. I was able to escape to another place – and to forget my crumbling world – if only for 90 minutes. As my journey with yoga began – so did my journey with Autism. This “condition”- I only had heard of on the news or in the movies – came in and took over the life of my child. A once – very happy, interactive & responsive baby – was now a toddler that screamed constantly – didn’t speak at all – slept only 2-3 hours per night – didn’t respond to her name, wouldn’t let me hold or comfort her and seemed locked away in her own world. I quit my corporate job and became of full time “Autism-mom”. I shuttled her from therapy to therapy, doctor to doctor. We traveled coast to coast – trying to find the right autism doctor for her, and we stopped taking vacations so we could afford the best of the best for this child. All the while – I kept up with my yoga – 5 or 6 days (and sometimes) 7 days a week at the studio. It was the only way that I kept from completely shattering into a million pieces. Even if I had only slept 2 hours the previous night – I knew that during those 90 minutes – I would be able to find the peace, solace & healing that I would need to get through the remaining 22 & ½ hours of the day. During those 90 minutes – I would surprise myself with the things my tired body was able to do – just by coming back the next day and trying again. During all of this – I also found TACA (Talk About Curing Autism) – and a wonderful group of families & children coping with autism. It was at TACA that I found other moms who became my fast friends – and started to hold my hand as I walked down this road. Here was a network of people who were able to give me a glimmer of hope for the first time in a long time. This group held support group meetings, seminars from autism doctors and therapists, picnics and parties – just for families and kids with autism. I stopped feeling so sad and alone all the time. 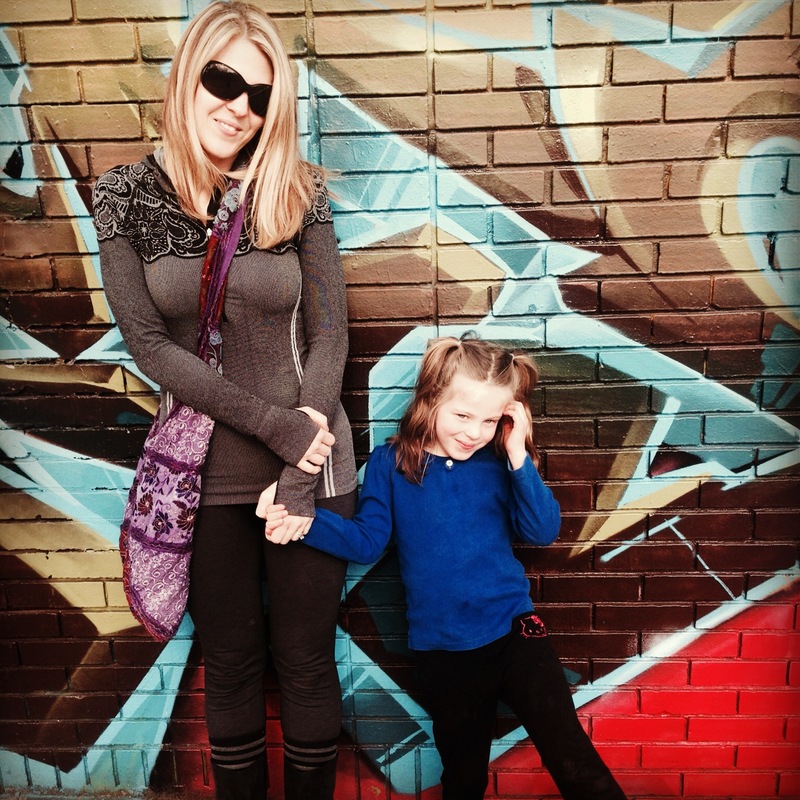 With lots of love, help and support – my daughter began to make slow progress. She began to open the door into our world – just a little. I began to see the twinkle in her eye that had been missing for so very long. After a few years – we made the decision that I would go to yoga teacher training – and begin a career as a yoga teacher – so I could continue to give my daughter the attention and care she needed (and teach the yoga that had helped me change my life!). 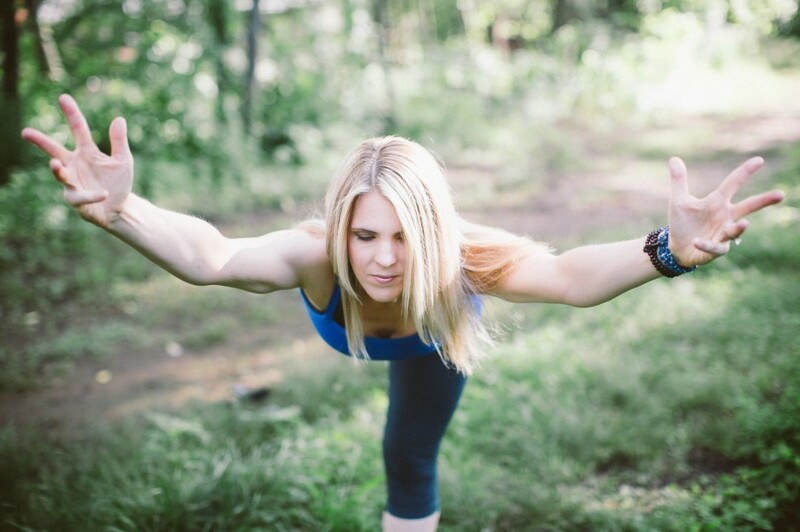 During my teacher training – my relationship with yoga changed dramatically. It was no longer a source of pure “escape” – but a place that became more about “pure acceptance”. Finding that path to acceptance was the key that unlocked the door to actually living my life – instead of trying to escape it all the time. Learning acceptance of my body, my strengths, my limitations, my flaws & my shadow self – was a process that was just beginning on my yoga mat. It was vital to me – if I was going to teach. Suddenly – It wasn’t during the most technically difficult yoga pose – or most physically demanding practice where the “yoga” began, it was shining a light on all of those “shadows” within myself that the real yoga began. Through the yoga – I realized that learning acceptance of my daughter was the larger picture for me. How could I truly love this child if I couldn’t accept everything about her and every single hair on her head? Even if it was the most painful thing in the world – I couldn’t keep running and escaping. In my physical yoga practice, I could force myself into different poses that my body wasn’t ready for just yet – and I would get hurt. And if I forced my daughter to be someone that she wasn’t – if I denied her autism – if I denied who she was for just one moment – I would get hurt, and so would she. We have been living with autism for the last 5 years. It has been the hardest thing I have ever dealt with in my life. My daughter is 6 years old and cannot speak a sentence – even though we have had countless hours in speech therapy. My daughter cannot communicate her basic needs to me – and often cries and screams in frustration. In public – we often get stares – as she makes strange noises to block out the sensory input that overwhelms her mind and her body. It is really really hard – and sometimes I just want to take her and run far far away. But we don’t stop showing up – trying – accepting and loving her just the same. And I haven’t stopped doing yoga either. In fact- teaching yoga has changed my life even more for the better. Yoga is most definitely about healing. Yoga is most definitely about transformation. But, for me, yoga is truly about acceptance of just this moment – just this breath – and what we have in front of us – just right now. Yoga can do amazing things for people, and has done amazing things for me. But instead of something that helps me escape my life, yoga helps me live my life. Yoga reminds me that if I keep showing up, and I keep trying every day – things will change – healing will happen & light will illuminate. My daughter teaches me that these things will happen when they are supposed to – and not on my schedule. So in the meantime – all I can do is show up, shine my light – and breathe. Click HERE for more information on TACA – and how you can help. Pretty amazing post. You and Matt are awesome parents. I can’t imagine HOW you do what you do. Just know that those of us that aren’t going through your struggles see you guys as super heroes. “As the Earth keeps going by turning itself toward the light day after day, we have no choice, despite all forms of etiquette and training, but to keep turning toward what we feel is real. Otherwise, we become cold little planets spinning in the dark. Very often, when I am confused or depressed for a long period of time, it is because I have stopped turning toward the light of what feels real. At times like this, I have to break the darkness of my spinning with a very small and simple step that often seems huge and difficult because I have been spinning in on myself – I have to practice being real by saying what I feel, not just once, but continually. I have struggled my whole life with this. Like most of us, I learned to survive by withholding what feels real. When events happen, I have learned to absorb the hit and pretend that nothing has changed, that everything is the same. But when I do this, my energy is used up in maintaining the pretense that nothing has happened, and I begin to spin coldly in the dark. Mark Nepo, on the practice of being real. Taken from “The Book of Awakening”. LOVE YOU TRACY! Thank you!!!!! I am stunned by your beautiful expression of love, living, yoga, thank you! Thank you so much for the kind words Joyce!! Good morning Sarah!! You found an amazing outlet and source of facing our diagnosis. I’m so happy that you pursued certification and have made yoga a way of life. You inspire me to see the best in our girls! Love you! Thank you Cheri! You are one of those friends I know I will have forever. Love you!